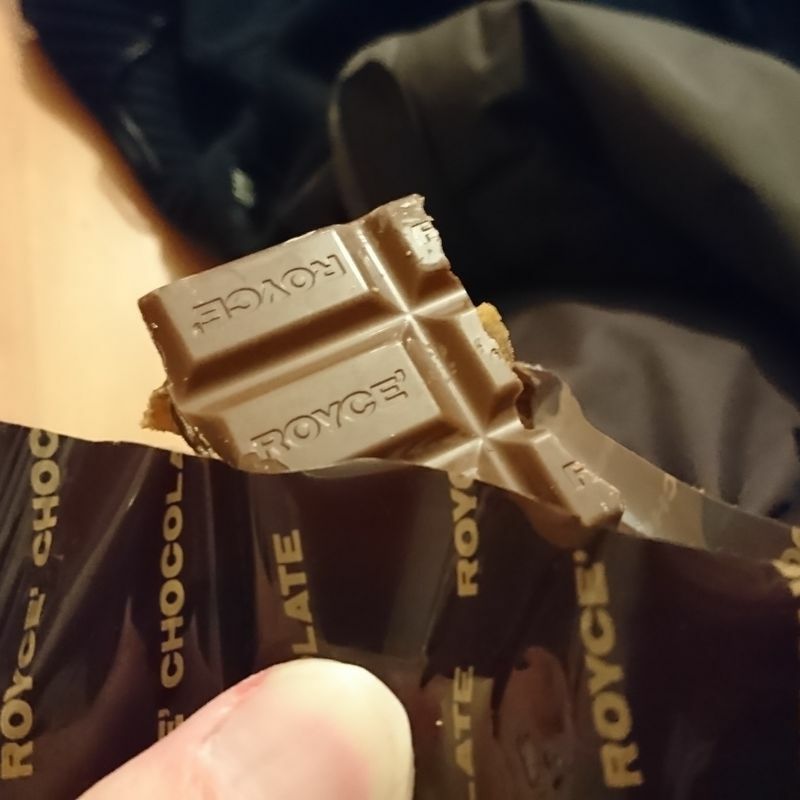 Royce is a famous chocolate maker in Hokkaido, and I received a chocolate bar around Christmas time. The packaging is just so cute that I would have kept it for longer if the expiry date was approaching. This chocolate turned out to be one of the best chocolate I have ever tasted in Japan! Upon breaking the chocolate apart, you find chunks of apple inside. The chunks of apple were soaked in brandy or some other kind of liquor. 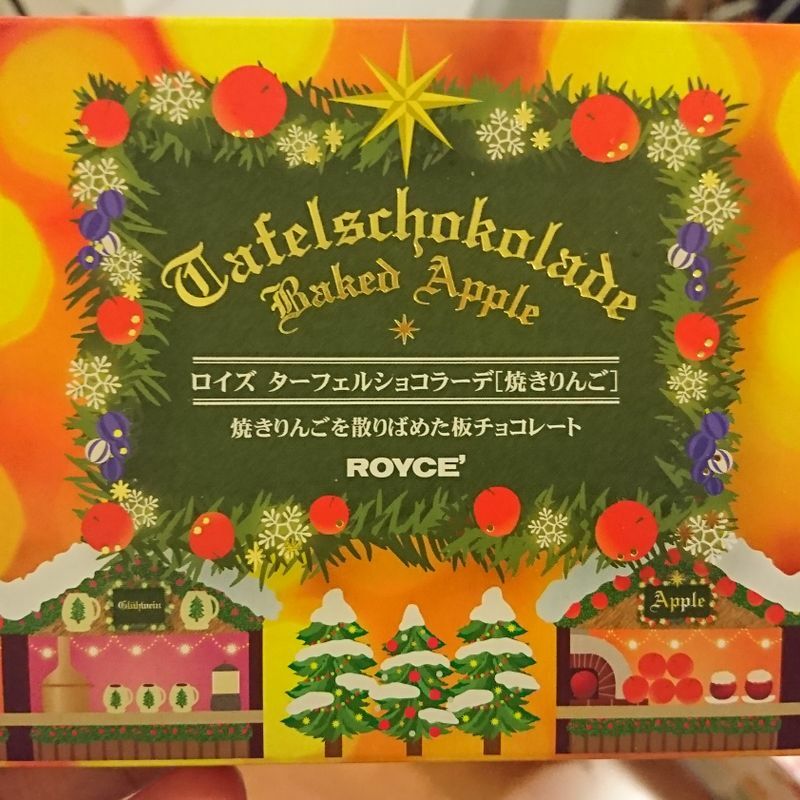 Usually I am not a fan of those, but whatever they used made the apples sweeter and made them stand out from the milky chocolate. Everything blended together so perfectly that by the time I realized it, 1/3 of the bar was already gone and I was more than ready to devour the whole thing. If I can find this again, I will definitely be stocking up!